A tantalising combination: This shower set, consisting of the Raindance Select S hand shower 120 3jet with chrome-plated spray disc and a 0.90 m long wall bar, is impressive thanks to its beautifully rounded shapes and contemporary look. Moreover, you can enjoy exclusive comfort and innovative technologies that will enthral you. The 120 mm shower head offers you showering comfort on a grand scale. To keep the spray pattern perfect and the product clean, limescale deposits on the shower head can easily be rubbed off using your fingers (QuickClean). Select one of the three jet types by simply pressing the easy-to-use Select button. 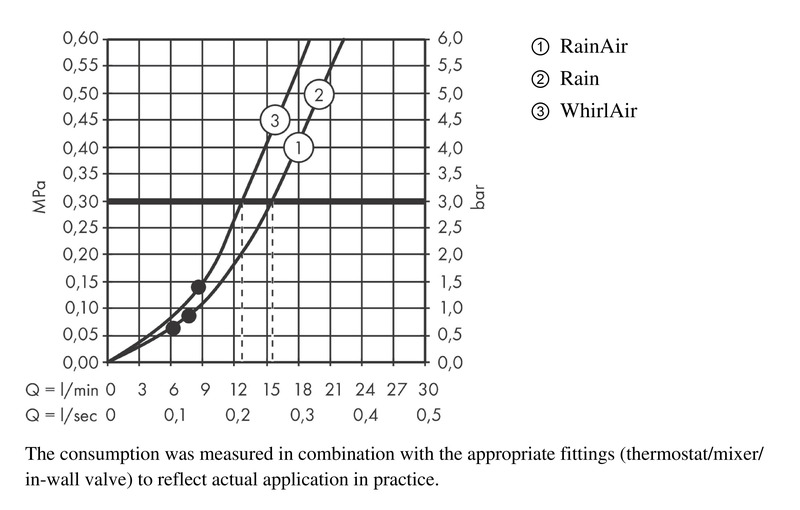 The full-bodied Rain jet is ideal for washing hair. Pamper yourself with RainAir, the soft shower rain whose droplets feel wonderfully soft and full-bodied thanks to aeration. Or wake up your senses with the concentrated, pleasant massage spray on the WhirlAir jet type. 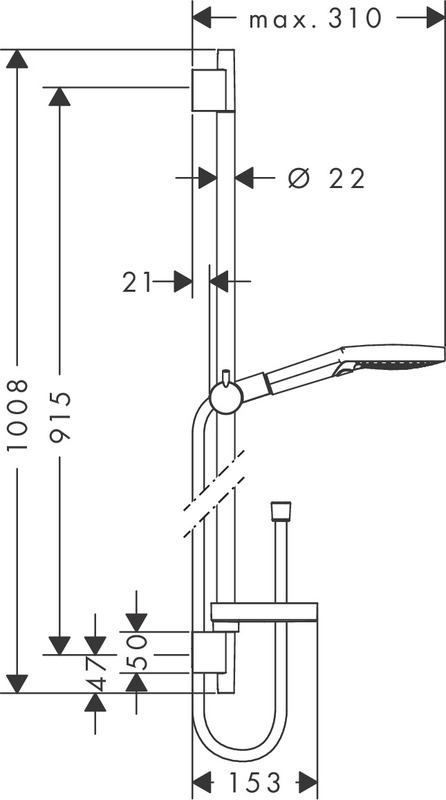 On the sturdy wall bar, the hand shower can easily be adjusted to whatever height you need. 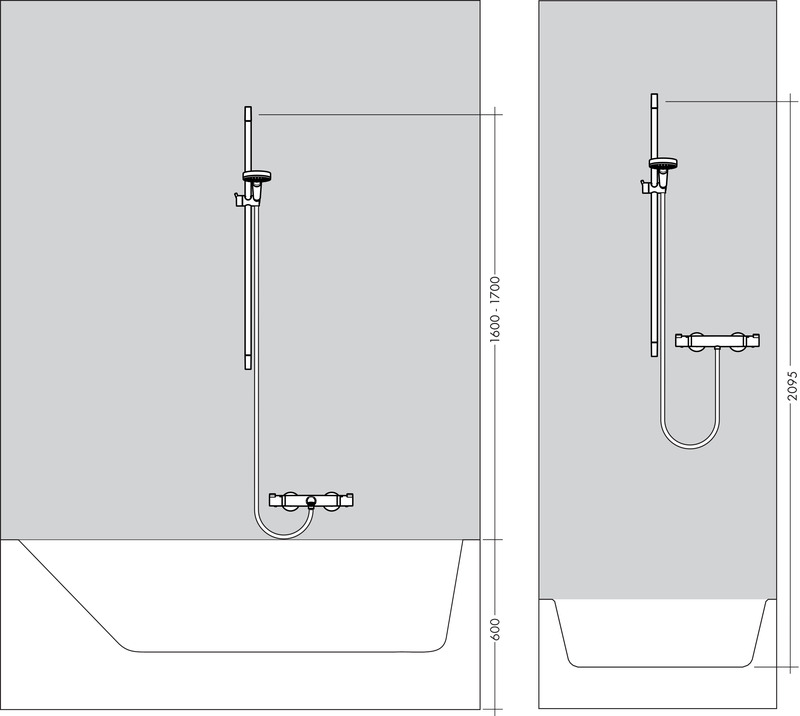 If required, you can move the shower into the correct position by tilting and turning. Or you can even grasp it in your hand, because it is exceptionally lightweight and ergonomically shaped. The 1.60 m long shower hose ensures ample elbow room. In the built-in Casetta soap dish S Puro, you will always have your toiletries ready to hand.